Designing a website properly means understanding the client, their needs and their goals. It involves planning and ideas. While functionality is vital, proper form is what gives the site the ability to attract and hold the visitor’s attention. We have a clear understanding of what will make a website not only attractive but also be an effective vehicle for your company’s message. We understand that to a good website needs to be useful and usable all the while providing your visitors with what they need. Bit-Wizards can provide your business with the website that impresses clients, communicates your message, and connect with your audience. We are a Microsoft Gold Certified Partner and specialize in Kentico CMS development. From integration to custom software and web development, Bit-Wizards develops software solutions that power business. 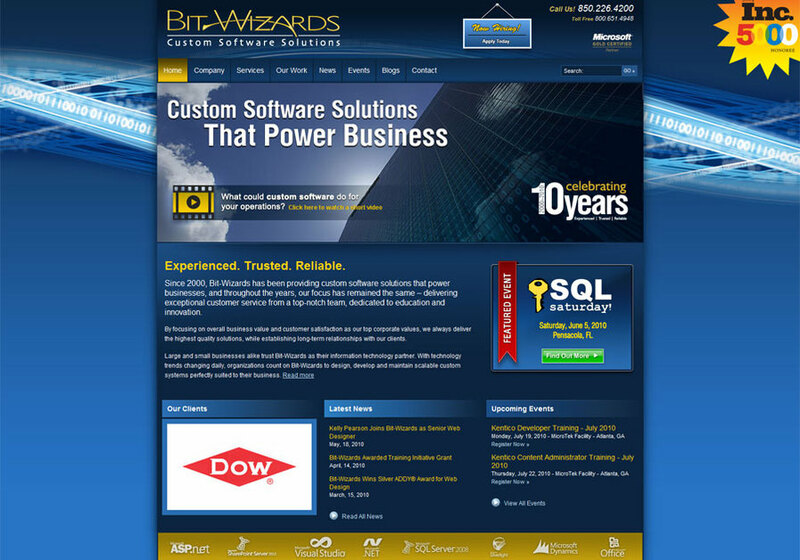 Bit-Wizards develops custom website solutions for large and small businesses.